So you grew some cannabis, and unfortunately, it’s not as potent as you would have liked. Perhaps you aren’t getting much of an effect, or even worse you may be getting negative side effects like headaches or racing thoughts. There are a few reasons this happens and today I’m going to break it down so you grow marijuana with the potency and effects you’re looking for! Learn How to “Strengthen” Weak Weed! The number one contributor to potency is the strain you grow. Unfortunately, growing seeds from “strong” weed won’t always result in strong weed. In order to get consistent potency, it’s important to start with good genetics. Fortunately, there are many talented breeders who have stabilized specific strains so you can choose a strain that produces the effects and strength you’re looking for! Learn about researching and finding the right cannabis strain. There are literally thousands of great strains, each with their own unique effects! 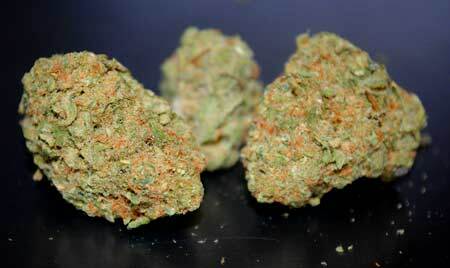 However, I think my all-time favorite strain for pure potency is Sour Diesel by Reserva Privada (aka DNA Genetics). It gives you a head rush; I almost had to put a warning on it! Cannabis buds are not potent when they first grow in and need time to mature before they’re ready to harvest. Not only that, buds harvested too early are more likely to give you headaches or racing thoughts. It’s common for new growers to harvest their plants too early, and as a result, their buds will not be as strong as they could have been, or have unwanted side effects. 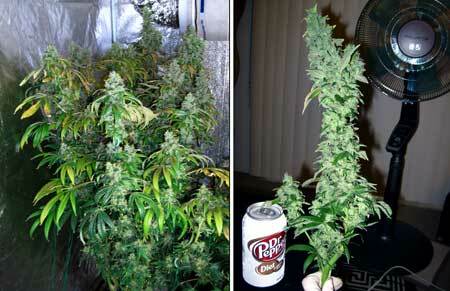 Learn the exact time to harvest to get the effects you’re looking for. 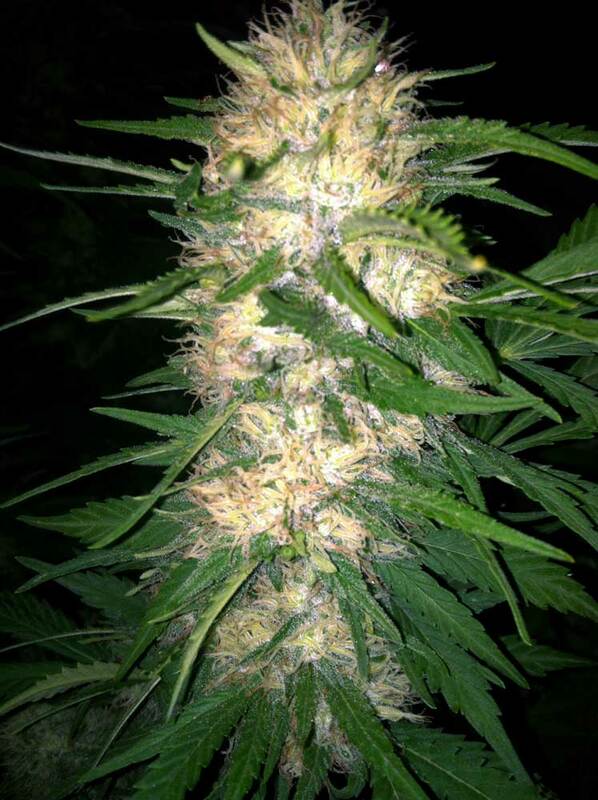 This bud was harvested too early, and as a result, the mental and physical effects were very weak! When a plant doesn’t get strong light levels during the flowering stage, it can result in small, airy buds that don’t have a strong effect. Learn about different cannabis grow lights. Up to a point, more light is better! Some growers even combine more than one type of light, like this grower who combined both HPS and LED grow lights! Buds need to be slow-dried for at least 2-3 days (and as much as 7-10 days) immediately after harvest for the best results in potency. This is step one of the post-harvest process. 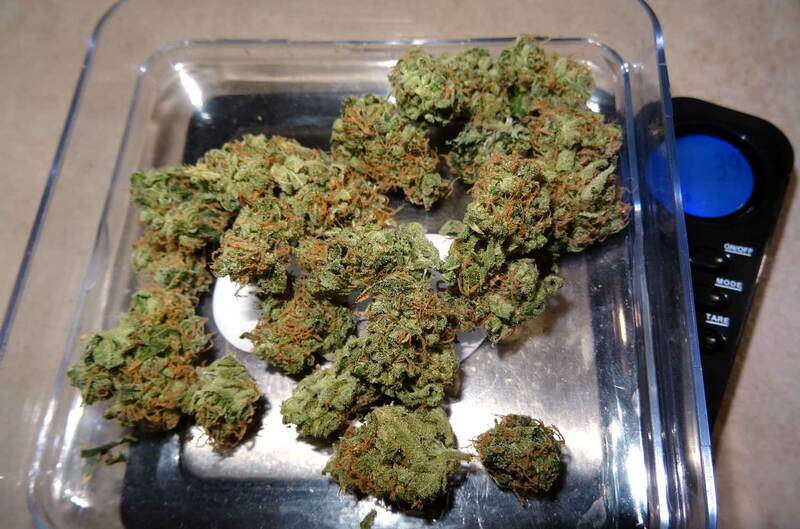 As a grower, if you pick a few buds early you’ll notice that the potency of a “live tested” bud is lower than buds that have been properly dried and cured. Learn how to dry your cannabis correctly. 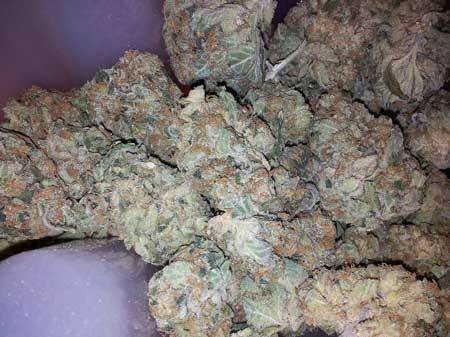 After buds have been slow-dried, they should be put in airtight jars that are “burped” daily for at least 2 weeks. This process of storing newly dried bud in an airtight container while giving them periodic bursts of fresh air is called “curing”. Curing reduces harshness and the “green” taste of newly dried buds, and curing also helps your bud regain its “cannabis smell” which tends to fade during the drying process. 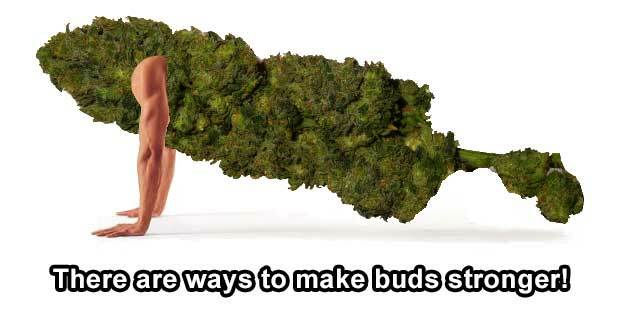 Make sure buds never feel moist, they should be dry! 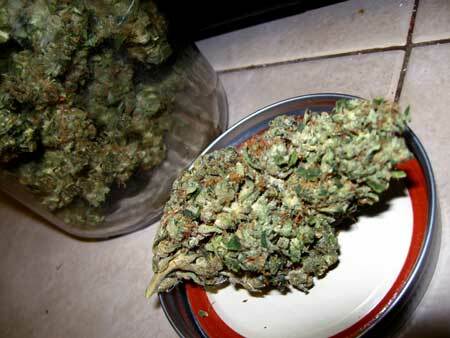 Buds are not only smoother after curing, but they also feel more potent than before they were cured! Learn how to cure your cannabis like a professional. 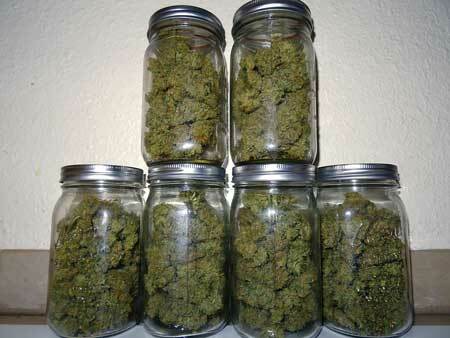 During the curing process you should open your jars daily, but otherwise, keep buds air-tight! 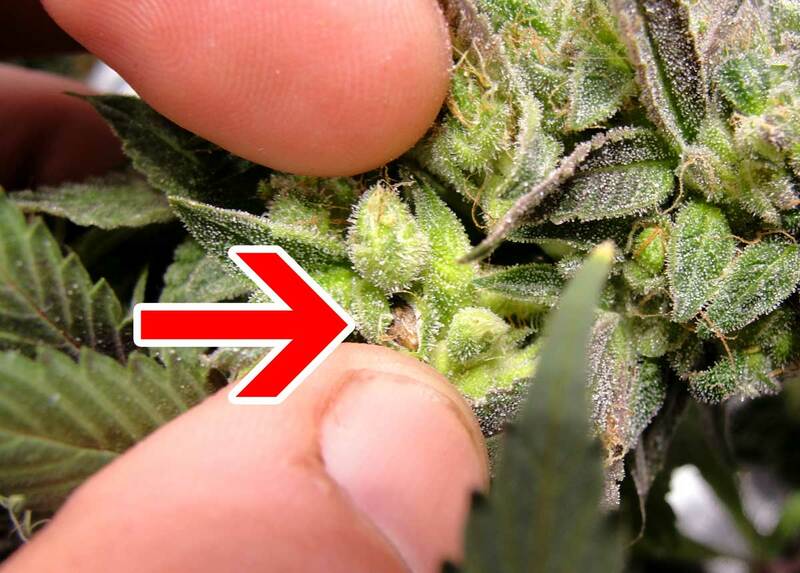 If your buds are exposed to pollen (either from a male plant or a hermie plant), then it can develop seeds in your buds. A few seeds aren’t going to have much effect on the overall potency of your buds, but very seedy bud that’s been heavily pollinated can sometimes be weak because the plant was putting more energy into making seeds than producing trichomes. Learn what you need to know about male and hermie plants pollinating your female plants. There are dozens if not hundreds of compounds in cannabis (some of the most common are cannabinoids and terpenes) that each change the overall effects of the bud. This means there’s more to potency than just strong vs weak. Different strains and buds have different effects. For example, if you have a strain that is high in CBD, it will prevent the buds from having a psychedelic effect even if THC is there. Therefore, if you’re looking for a strong mental effect, it’s important to choose a strain that’s relatively low in CBD. 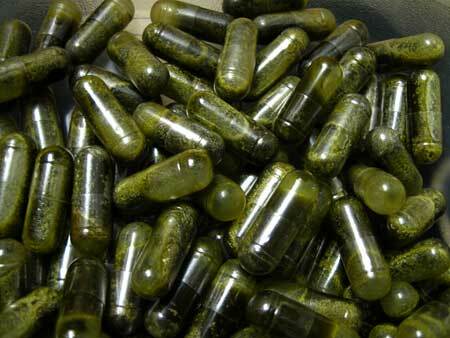 On the flip side, high levels of CBD is very suitable for certain medical marijuana patients. Learn about different cannabinoids as well as how to increase THC and increase CBD levels in your buds, so you get the effects you’re looking for. If you’ve been enjoying the same strain for a while, especially if it’s also from the same harvest, the feeling of potency may start to lessen over time. If you don’t want to feel “messed up” that can be a good thing, but if you want to maximize the overall perceived potency and “strength” of your cannabis, you will get the best results by changing strains on a regular basis if possible. If you’re consuming the same harvest for a while, it can start to feel less potent over time as your body gets used to the effects. If you have weed that is “weak” there are a few things you can do. These aren’t miracle workers, but they can help make a difference in some cases, especially if your buds are fresh and/or you have a lot of it! If your bud is still bright green or wet, chances are it has been freshly harvested and is uncured. In this situation, drying and curing the bud properly can sometimes increase the perceived potency. As a bonus, the curing process can also increase the smoothness and smell of buds! However, this is only effective if the problem is that your buds are fresh and weren’t dried and cured. 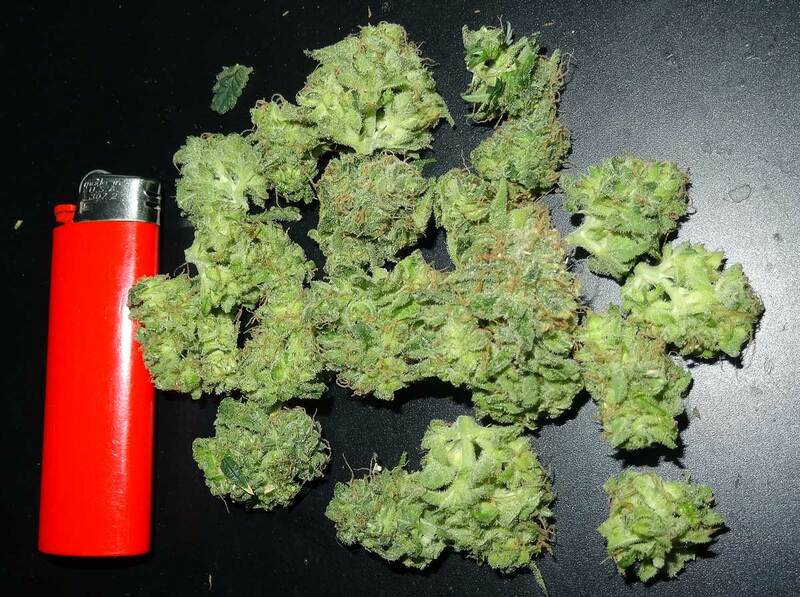 It has a much smaller effect on buds that are already a few weeks old. Example of fresh buds (they are very green, feel moist and look “plump”). These need to be dried and cured before they reach peak potency. Here are those same buds after they’ve been dried and cured. They’ve sort of “tightened up” and appear less green. If buds already look like this, the curing process may have already happened. 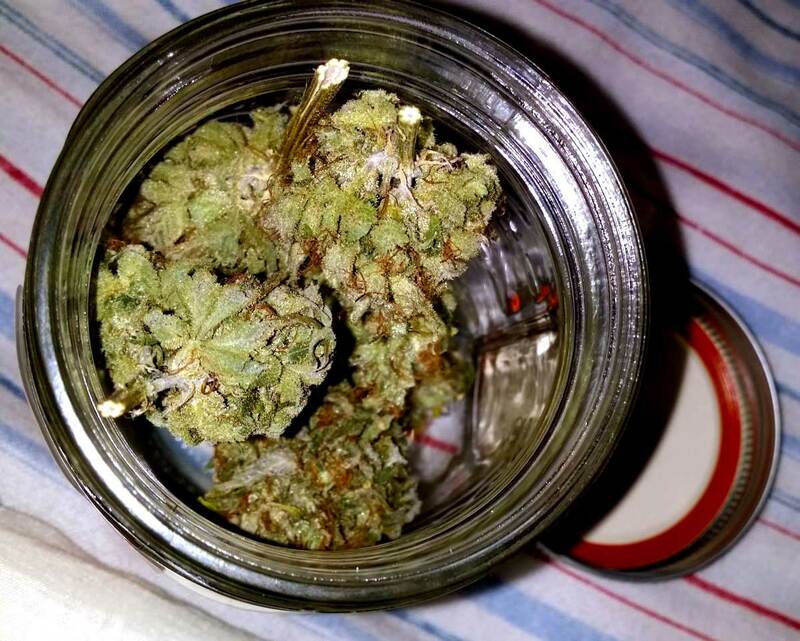 However, it can’t hurt to jar your buds anyway because poorly cured buds may still see improvement! Open the jar daily for 2+ weeks. Note: If the buds ever feel moist, leave the lids off for an hour until buds feel dry, then continue curing. This prevents mold or bacteria from growing. Turning some of your buds into hash can be a really good solution if you had a really big harvest and the buds ended up being less potent than you hoped. This technique is most effective if you have a lot of bud, because you want a good amount of bud to turn some of it into hash. One of my favorite ways to get hash is the dry ice method, because this wastes far less cannabis than most other methods, so you end up with the biggest yields in the end. With dry ice hash, you put your buds in a specialized bag with dry ice. The dry ice freezes the trichomes off the buds, and if you shake the bag all the trichomes/hash spills out the bottom, leaving all the inert material behind. 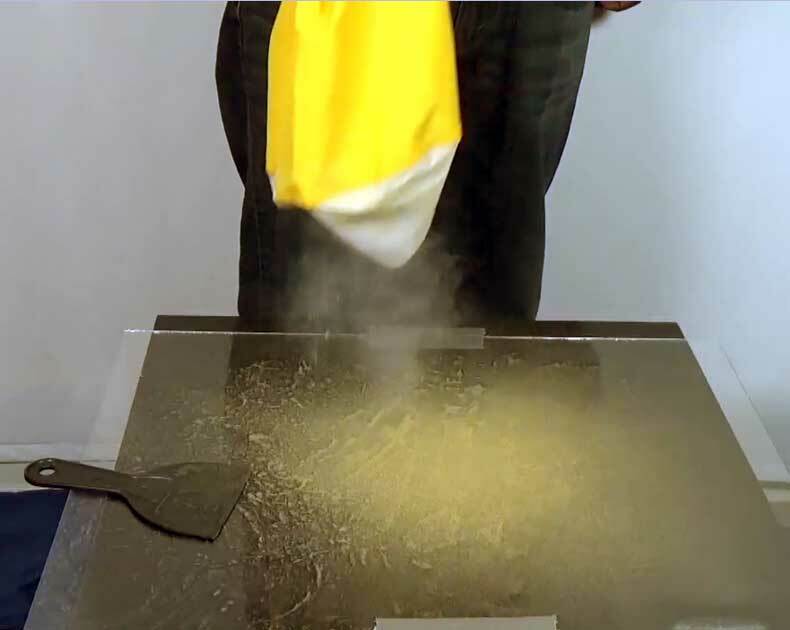 This is one of the highest-yielding methods for making hash! Once you make hash from some of your buds, you can then mix it and/or sprinkle it over your remaining buds. 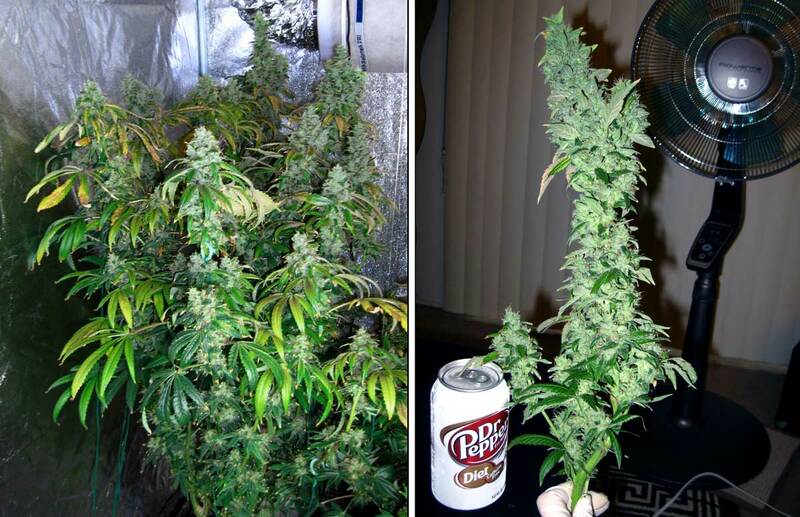 This will dramatically increase the potency of the buds that get augmented this way. You’re basically extracting the “good stuff” from some of your weak buds, then using it to increase the potency of the rest. Sprinkle hash on your remaining buds to dramatically increase their actual potency! 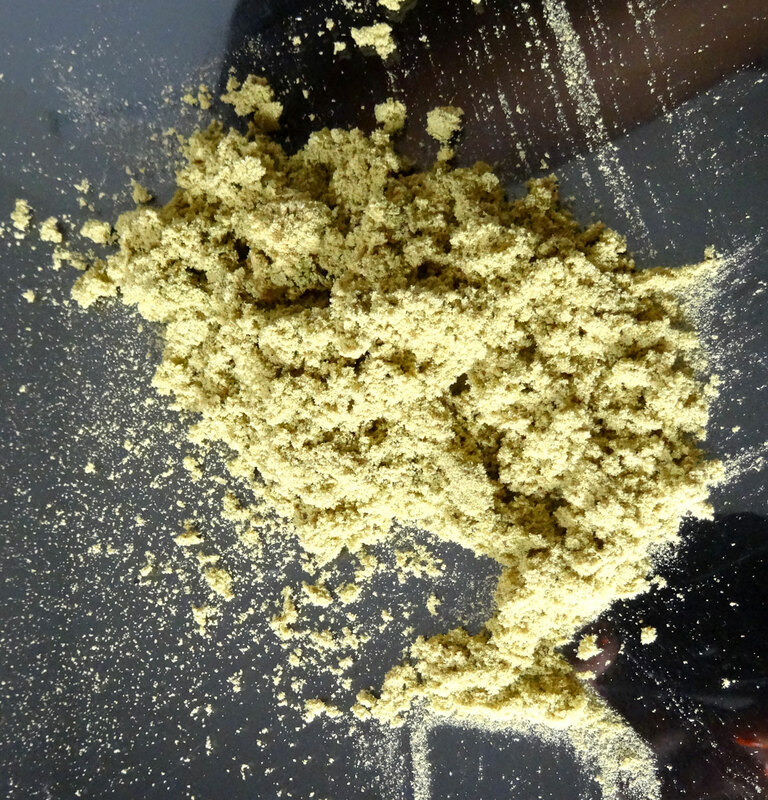 During the process of making magic butter or canna caps, you usually extract all the good stuff from cannabis, just like making hash. 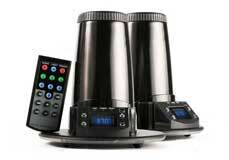 This allows you to make edibles that are a lot more concentrated. You can also increase the effects of edibles simply by eating more. Making edibles is usually easier if you have a lot of bud to work with, but there are some methods like Firecrackers that allow you to get decent results with relatively small amounts of weed. 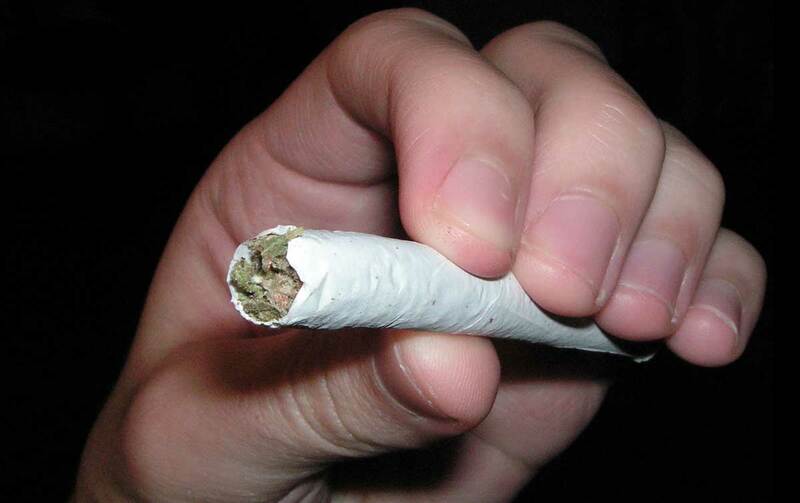 The least efficient ways of consuming cannabis are joints/blunts and pipes, which also happen to be the most popular. These methods use more cannabis to get the same effect compared to a more efficient delivery system. These can be great for many situations, but if you’re trying to get the most out of your cannabis, it may not be the best choice. Joints and blunts waste cannabis smoke whenever someone isn’t actively inhaling, so you end up getting less effects from your buds than you could have. A regular pipe is more efficient than a joint or blunt when it comes to reducing smoke loss. However, I personally don’t care for most pipes because they can be harsh on your throat, and it’s easy to end up with ash in your mouth! 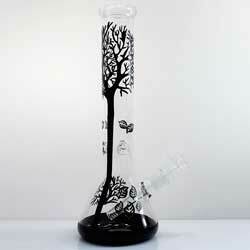 With a water pipe or bong you waste less smoke than with a pipe because they generally hold the smoke within the device itself until you breathe it out. With some practice that means you can use every last bit of smoke. Vaporizing your cannabis is probably the most effective way to get “every last bit” but is less hard-hitting and takes longer for effects to take hold than smoking. A bonus of vaping is you can take your already-vaped-buds and use them to make edibles, so you get a second use out of your buds. I know it doesn’t seem like it would make much difference to grind your buds vs breaking it up with your fingers, but it really does make a difference if you’re working with whole nugs. Weed at least feels more strong when it’s smoked or vaped with the consistency of ground bud (which looks like loose flecks or the “shake” that falls to the bottom of the bag). If I had to put it in numbers I’d say it adds 10% onto the perceived potency over breaking up whole bud with your fingers. It makes the most dramatic difference if you’re working with very dense cannabis that’s hard to break up. I hope this article has given you some ideas for what to do if your marijuana is weaker than you’d like! And read our basics tutorial if you want to learn how to grow your own cannabis, so you get top-quality bud every time! If I missed anything, don’t hesitate to contact us!